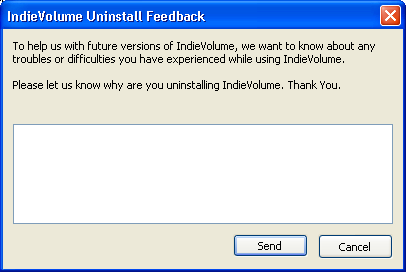 If user is uninstalling your application, it is reasonable to ask him what he did not liked in the application. Usually developers open web browser for submission of feedback. I think this is not a good practise — most users do not like applications opening web browser without their confirmation. My opinion it is a lot better to implement sending of such kind of feedback using desktop's regular mail application, such as Outlook and Thunderbird. I work about a same idea: i need to send a mail to administrator since the installation, your code will help me but i must to add a attachement in this mail, i m not an expert in inno setup and i hope to have a help for to add this attachement. SendMail.dll is name of the DLL doing the job. your example shows how to open the mail window but no how to send it.